Welcome to the website of the Church of the Holy Spirit, an international group of believers and seekers from many different backgrounds, sharing together the Good News of the Lord Jesus Christ. We look forward to seeing you on Sunday. Please go to our Visitor's Information page for service details including information about our Sunday School program and Child Protection Policy. “Take this and divide it among you. 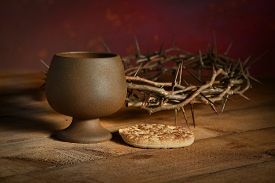 “This cup is the new covenant in my blood, which is poured out for you".